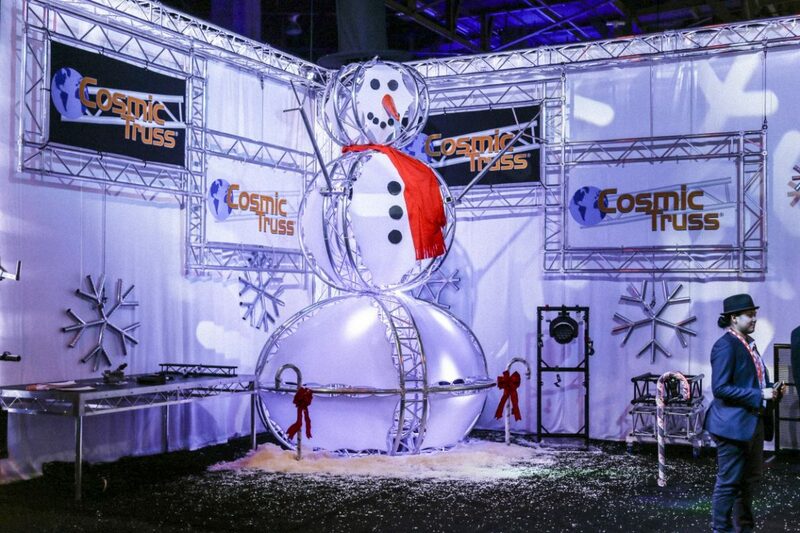 Christmas came early this year at LDI 2017, with Cosmic Truss’ seasonally themed booth. Visitors to the show were able to grab a great snapshot with the truss snowman, which was quite the attraction at this year’s show! The snowman was made almost entirely of standard off the shelf truss, showing once again what a design team can achieve without needing to rely on custom parts, a great advantage of the Cosmic Truss product range. There were new products in amongst the festive cheer including a new tilting speaker bracket which allows for a large amount of flexibility when it comes to speaker placement and adjustment. Also on display, was the award winning innovative cable management tool – SNAP – which was also well received by visitors at the show. SNAP is a fully reusable high strength plastic clip that can be attached to any standard truss, making cable management neater, cleaner and smarter, and plenty of free samples were distributed over the three days of the show. The theme around the booth continued with a Christmas tree made from F31 tube, added to with a few custom finished snowflakes. 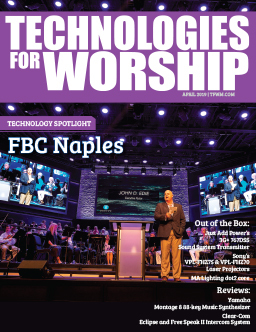 The goal being to remind that truss doesn’t need to be just… truss but can become an exciting centerpiece or bold background design for any stage or event. Cosmic Truss’ F44P system was also used to build the GLP booth across the aisle, showing its versatility when used for its standard structural purpose as well. The Cosmic Truss booth is quickly becoming a staple photo opportunity at the LDI show, building off the success of the ‘Skully’ design from last year. Cosmic Truss’ Business Manager David Park commented, “We are extremely happy with how this year’s booth came together, it was great to see that our visitors and customers were not only impressed but also had fun taking advantage of the selfie opportunity”. 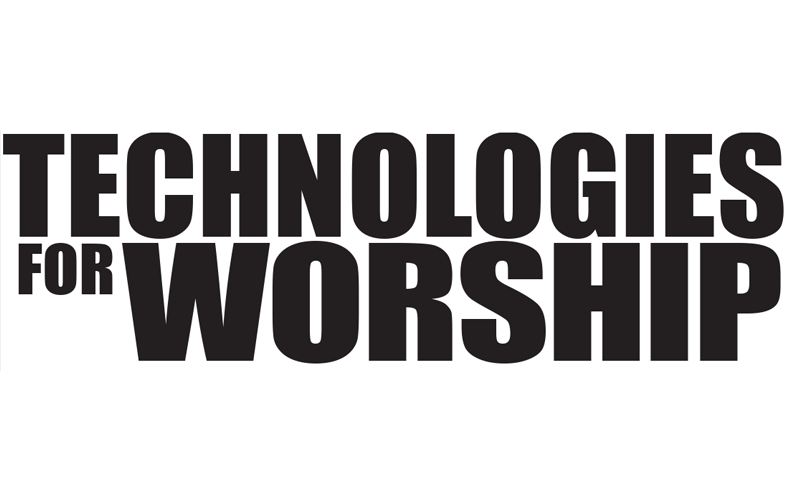 The Cosmic Truss team is already looking forward to keeping the tradition going, and creating another innovative design feature to ‘wow’ visitors at next year’s show!